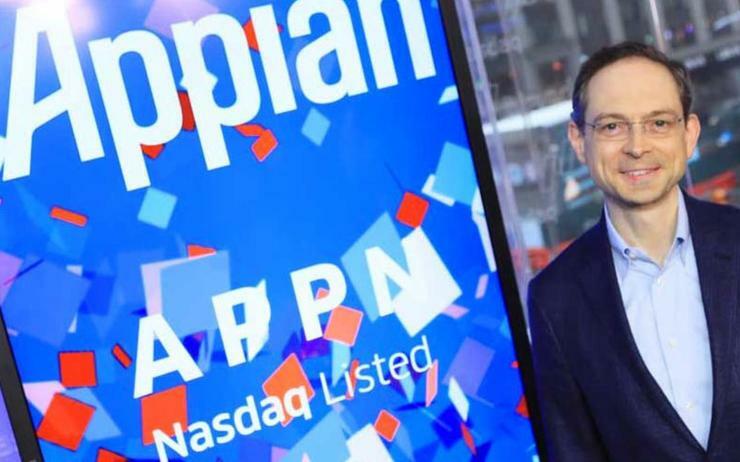 Organisations continue to struggle with 'technical debt', leading to bloated IT estates that are necessary to operations yet are difficult and time-consuming to build and maintain, according to Appian CEO Matt Calkins. "The customers we talk to - they have a thousand applications or something like that and they wish they could consolidate, but they can't turn them off - they need those applications for something," Calkins told Computerworld UK during a lunch briefing at Appian Europe in London. "They can't even change them, in many cases they are stuck with it as written and it's written for old priorities, it doesn't integrate well, people hate the interface, it's a separate log-on, all sorts of problems. But they can't get rid of it." The low-code company, which enables customers to quickly build applications suited to their needs through a simplified, pipeline-type process, defines 'technical debt' as the "implied cost of additional rework caused by choosing an easy solution now over the right solution". "It also reflects the lost opportunity cost of not developing the right application needed to take advantage of a market opportunity," the company said in a statement. "IT organisations spend 50 per cent of their time coding new apps and enhancements, but they lose about two-fifths of their development time to technical debt." The figures for lost development time come courtesy of research conducted along with IDG in the US. According to the survey, the global business impact for technical debt includes higher operational expenses, simple software enhancements that take longer than expected, a reduction in performance and scalability, and longer time to market. Of course the company has a stake in suggesting that the accepted way of building apps is far from ideal. But according to Appian, a massive 50 per cent of new applications end in failure, so how does Appian define failure? "Sometimes they were de-funded, sometimes they were never completed, sometimes they were never completed, sometimes they were completed, disliked, and turned off," said Calkins. "I think those three failure patterns are all roughly equivalent - somewhere around 15 per cent each - as an explanation for why that application has failed. "By failure I believe they meant it was a net negative for the organisation: it wasn't that it worked for a while then they stopped - that would have been a success - it never worked would be a failure." This, said Calkins, is tied into a recent pivot for the developing of technology to no longer be about cost savings but instead customer experience. "It used to be that technology had primarily the purpose in the back office of reducing cost, so for our primary purpose in the primary tech trend of the day to be customer experience - that's an interesting switch," he said. "And it implies that our current approach to making software is no longer appropriate - because our current approach is slow." The remarks chime with those recently made to Computerworld UK from Puppet CTO Deepak Giridharagopal, who said that businesses are expanding their greenfield estate much faster than they are dealing with the legacy. "Software today is slow, it takes years, it's waterfall," said Calkins. "It's fast enough to save money but not fast enough to appeal to fickle customer tastes. Customers want a new thing all the time, and they change what they want - and you need new behaviours to keep up with customer trends. "So if it is true that the number one priority for new application development in terms of digital transformation is to please the customer? I think we are approaching it far too slowly."